Houses with character, especially older ones, can be quirky and eclectic. Usually that’s a good thing. 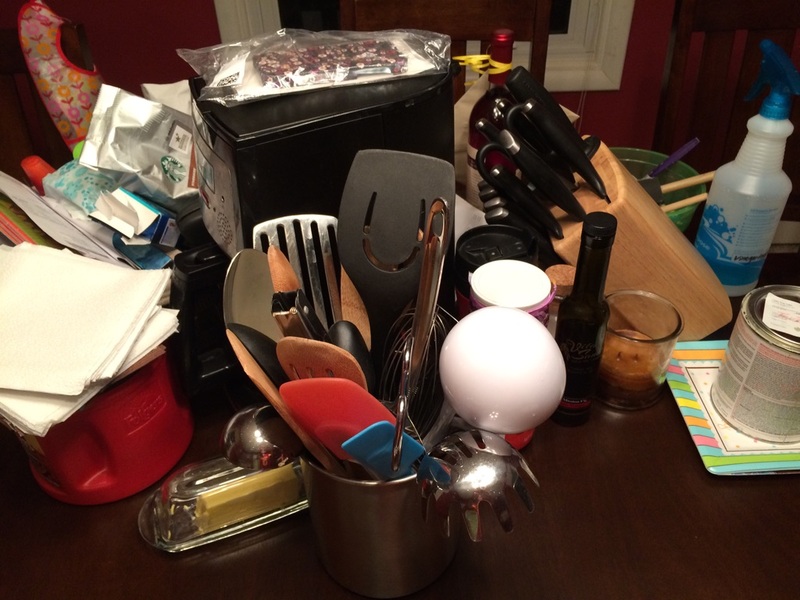 Sometimes, like in the case of my faux butcher board laminate counter tops, it is most certainly a BAD thing. My house was built in the mid-1940s and, here and there, previous owners made little updates. I’m glad they kept most of the original charm, but somewhere along the lines, these counter tops entered the picture. My husband and I have been talking about replacing them, but before we spent a lot of money doing that, I thought I would give this a try. 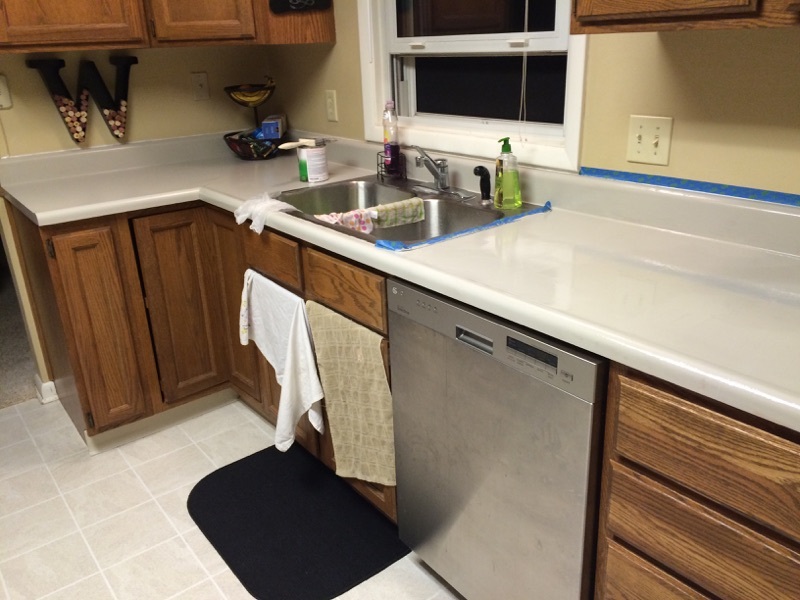 Rust-Oleum Countertop Coating can be tinted to 16 different colors. I selected cobblestone. This is available at most major hardware stores and even our small-town one. The whole project came in under $50. I splurged on a good brush, which I would recommend. Also, know that the brush will have to be discarded following the project because the counter coating cannot be fully washed out. Make sure to wear gloves when applying the product. 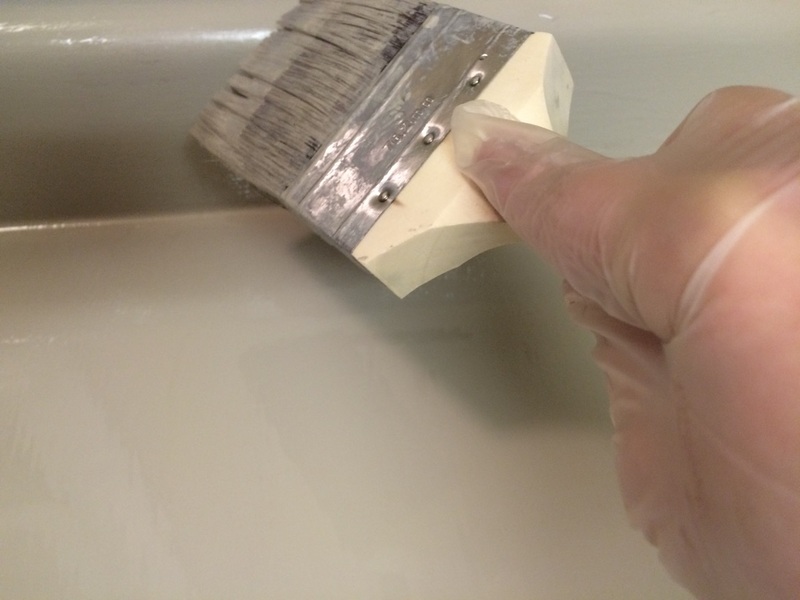 It is much harder to remove from skin than regular paint is. The counter coating takes three full days to dry, which means you must find a safe home for all counter clutter for three days. And three days means three days. 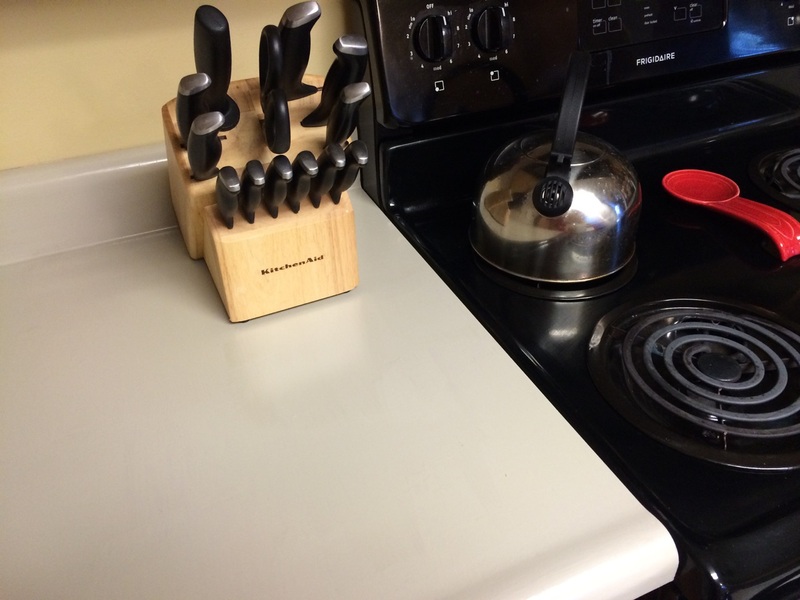 I decided to cheat and try putting a tray on the counter after only two days and ended up touching up that portion. I am happy with the finished product. 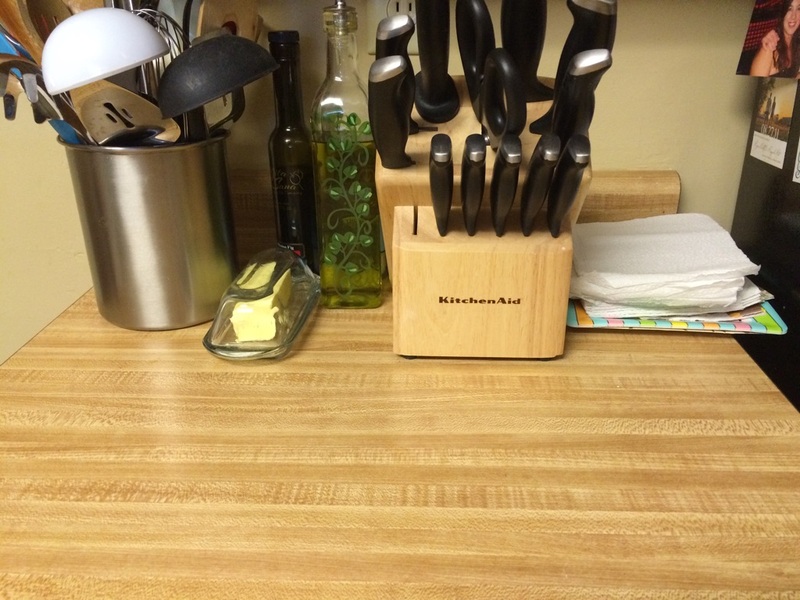 The surface wipes up nicely and any water dripped on the counters just balls up and wipes off easily. 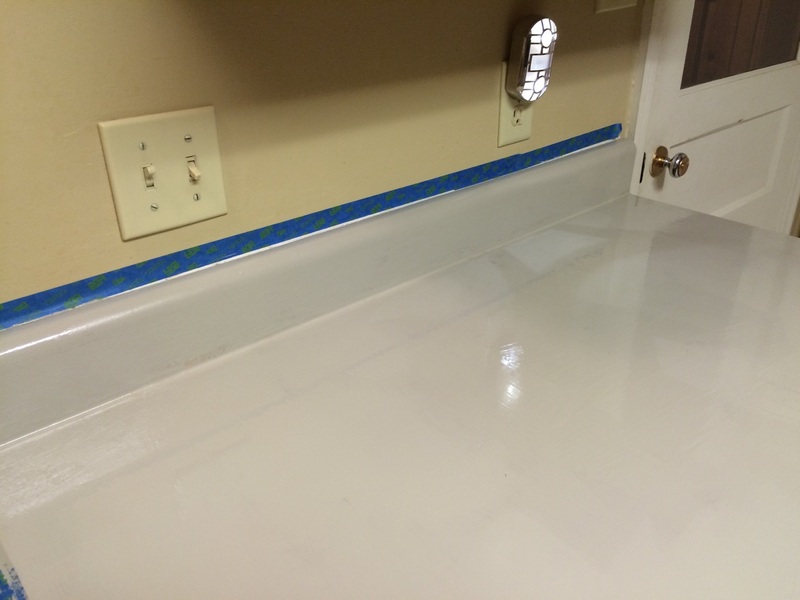 The best part is, I saved so much money on this part of my kitchen update that I can splurge a little more when it comes to kitchen and dining room flooring, which we plan to order soon. That is one thing I will not be DIY-ing, but I will post photos. 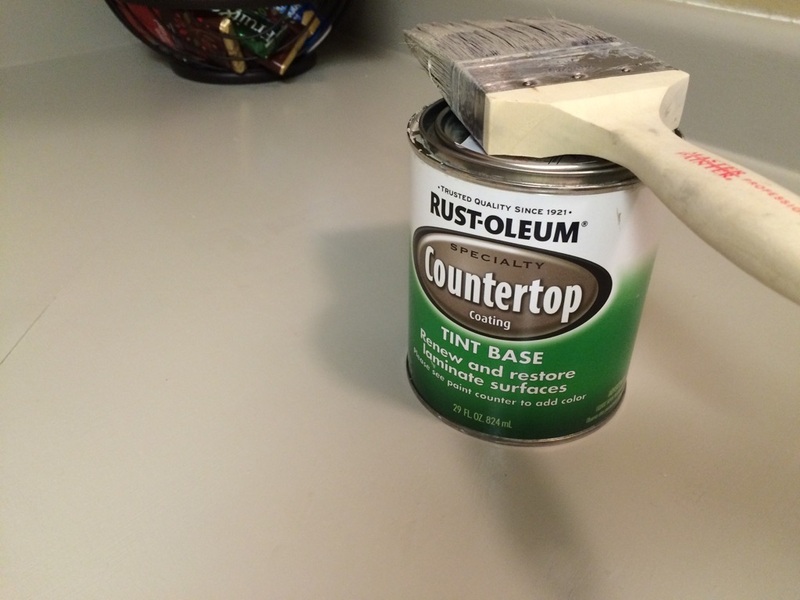 This post was not sponsored by Rust-Oleum, I just like the product. Nice work! This looks fabulous. 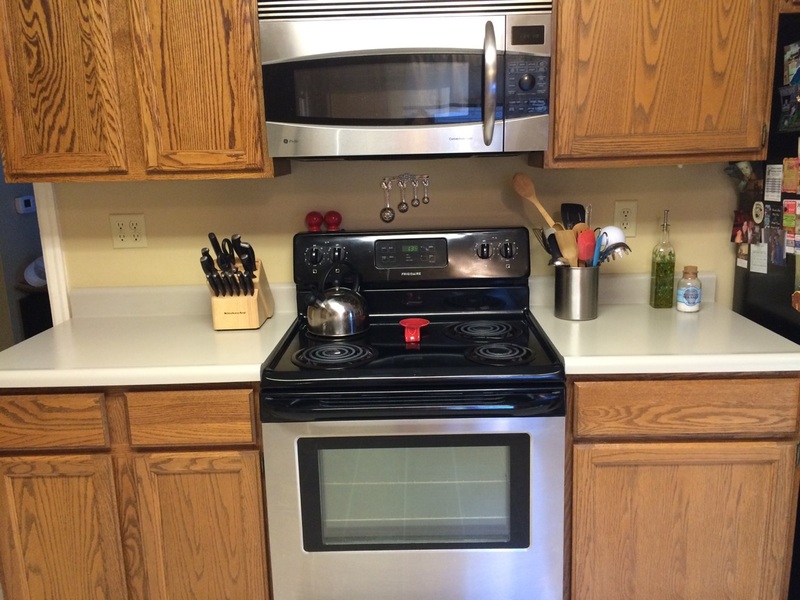 In the photos, the counters look new! Did you do more than one coat? I did two coats and then just touched up a few spots. Thanks for reading!